Boxerstock ~ A Full Day of Music & Dogs! Born and raised in Wimbledon, England, Victoria Stilwell is one of the world's most recognized and respected dog trainers. She is best known for her role as the star of Animal Planet's hit TV series It's Me or the Dog, through which she is able to share her insight and passion for positive reinforcement dog training and as a judge on CBS's Greatest American Dog. Having filmed over 100 episodes since 2005, Stilwell reaches audiences in over 100 countries while counseling families on their pet problems. In the early 1990s, Stilwell began her career in pet training when she created her own successful dog-walking company and immediately recognized the need for qualified professionals to help her clients with the training process. While pursuing a successful acting career (working in London's West End as well as in numerous films, TV series, commercials and voiceovers), she expanded her focus to dog training by learning from some of Britain's most respected positive-reinforcement dog trainers and behaviorists. After moving to the U.S. with her husband, Stilwell co-founded several successful dog training companies up and down the East Coast, quickly establishing herself as one of New York's most logo-IMOTDsought after dog trainers. With a particular fondness for rescue animals in need of behavior rehabilitation, Stilwell devoted much of her time and energy to a number of animal rescue organizations in New York and Atlanta, serving as a behavior advisor and giving regular seminars on the subject of dog rescue, training and rehabilitation while becoming one of the leading voices in the field of dog training and behavior. A passionate advocate for positive reinforcement dog training methods, Stilwell is the Editor-in-Chief of Positively.com which features a roster of Positively Contributors comprised of the world’s leading veterinary behaviorists, dog trainers and behavioral scientists. She is a vocal opponent of punitive, dominance-based training techniques which often result in 'quick fixes' but ultimately cause more long-term harm than good while damaging the owner-dog relationship. Her first two best-selling books, It's Me or the Dog: How to Have the Perfect Pet and Fat Dog Slim: How to Have a Healthy, Happy Pet, have been widely praised, and they detail her core reward-based training philosophy: “There’s a better way to train… Positively.” Her highly anticipated third book, Train Your Dog VS-booksPositively, was released to critical acclaim in the US in the spring of 2013. A regular guest on talk shows, news broadcasts and radio programs in the US, Europe and Asia, Stilwell was named 2009’s Dog Trainer of the Year at the Purina ProPlan Dog awards and was the recipient of the prestigious 2011 Excellence in Journalism and Outstanding Contributions to the Pet Industry Award. Since its premiere in 2005, Stilwell’s show, It’s Me or the Dog, has filmed over 100 episodes in both the UK and US and has been the recipient of multiple honors including 2011 and 2012 Genesis Award Nominations and a 2009 People’s Choice Award nomination. Stilwell has been a regular columnist for several magazines including The Bark, American Dog, and Dogs Today, and she has been featured in numerous journals, magazines and newspapers including The New York Times, USA Today, Cosmopolitan, Time.com, Oprah Magazine, Rachael Ray Everyday, MSNBC.com, Self Magazine, Shape Magazine, TheDaily Mail, the Sunday Times, The Sun. VSPDT_logo_textStilwell is the CEO of Victoria Stilwell Positively Dog Training (VSPDT) – the world’s premier global network of positive reinforcement dog trainers. Since its launch in 2010, VSPDT has become the industry leader in the field of dog training by attracting world-class positive reinforcement dog trainers who share Victoria's dedication to providing the public a brand name they can trust in humane, force-free positive training. VS-PS8071Her Positively Podcast series is available globally, and she serves the Executive Producer of various ongoing television projects in addition to her own popular informative dog training videos series, Teacher's Pet, the 'Ask Victoria' series, various premium dog-related web video series and other content on the new Positively Media Center platform. Stilwell is committed to helping the cause of animal rescue and rehabilitation and is heavily involved organizations around the world to increase awareness of puppy mills, dogfighting, animal abuse, pet overpopulation, dog bite prevention and other animal-related causes. She is the Executive Director of the Victoria Stilwell Foundation - a non-profit charitable organization committed to providing financial assistance and dog training expertise to small rescue shelters and assistance dog organizations who practice positive training methods. A co-founder of the national Dog Bite Prevention conference series, Stilwell is a National Ambassador for the American Humane Association and is a member of its ‘No Animals Were Harmed’ Committee. 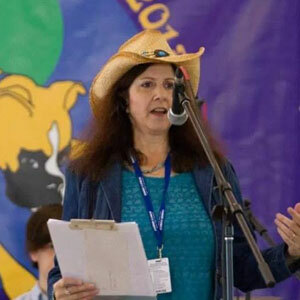 She also serves on the Advisory Boards for DogTV, Dognition, The Grey Muzzle Organization, RedRover, and Canine Assistants, and she is a member of the US Association of Pet Dog Trainers (APDT) and the International Association of Animal Behavior Consultants (IAABC). Victoria currently resides in Atlanta with her husband, daughter and two rescue dogs, Sadie and Jasmine. We are excited to have English Nick from 97.1 The River to introduce several of our bands at Boxerstock 2016! Hey (were you expecting me to say ‘Ello?) English Nick here! 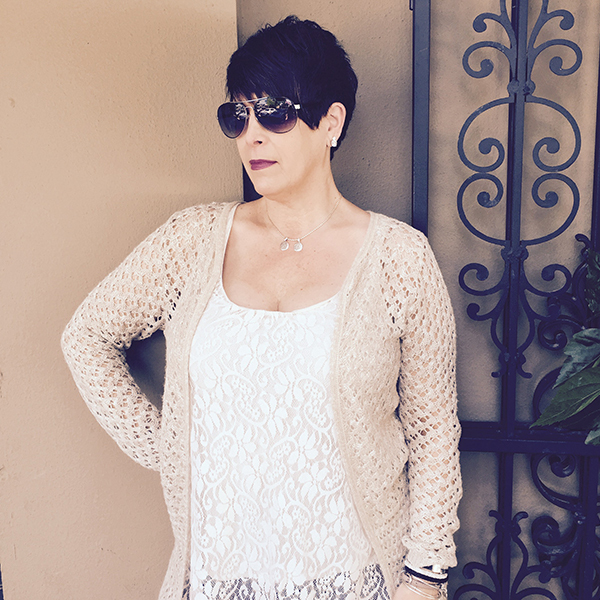 A little about me…. We are proud to have Shelly Olson back this year to emcee Boxerstock 2016! Michele Wendling (Shelly) Olson was born in the kingdom of Minneapolis. After being enlightened by great literature (okay, storybook tales), she developed a vivid imagination. Being an only child this trait was useful, although her parents never determined how many imaginary siblings Shelly had. Children eventually have to decide what they want to be when they grow up. Not easy when your role models give conflicting messages. Could a happy medium exist between innocent fairy tale princess and buxom fashion model? Shelly thought this incongruity was funny! By high school Shelly realized a sense of humor was more than entertaining; it was therapeutic! This marching band nerd (who stayed home cleaning the fireplace waiting for Prince Charming to show up) spent a lot of weekends with Saturday Night Live and Monty Python. Inspired by great sketch comedy, Shelly began her adventure in 2004 by joining other writers at SketchWorks, where two of her scripts were produced in a showcase. She also co-wrote a piece that appeared as the closing act in one of their main stage performances. After graduating from Funny Farm University in 2005, Shelly’s appeared at several Atlanta comedy clubs and emceed for a variety of events. Her closest brush with fame was Nickelodeon at Nite’s "Funniest Mom Contest." But don’t let the mild-mannered, middle-aged mom persona fool you! Shelly’s comedy has been enjoyed world-wide on live streaming radio. In addition to numerous guest appearances and co-hosting gigs, she produced a virtual comedy cabaret and hosted her own variety talk show. She regularly observes the absurdities of life and is a prolific blogger. She’s a regular contributor to the e-zine Flip Side to Music with her monthly Humor Highway column and audio commentaries. Shelly’s joined other artists at the Feel Teal Club, promoting awareness for Ovarian cancer by adding her gift of laughter and a very personal tribute to the late Gilda Radner. ...and everyone laughed happily ever after! Miss Janette Luffred is a retired back-up singer, national recording artist and Former Miss Western New York. She performs the National Anthem for NBA, NFL, NHL, MLB, World Cup Soccer and US Open games/matches. She also sang in the 1996 Summer Olympics in Atlanta. Growing up in NY, having musical parents and an older brother as a pianist, she knew right off the bat that music would be a huge portion of her life. She got her degrees in Vocal (Opera) Performance, Theatre Arts and Arts Administration from SUNY Fredonia, Chautauqua Institiute, Manhattan School of Music and Firenze Music School in Italy. Upon graduating, she began touring with the Glenn Miller Orchestra, Billy Joel, Jon Secada, and Luther Vandross. After moving to Atlanta, Janette, began working in recording studios with rap, hip-hop and R&B groups, to coach and sing back up tracks for them. During that time, she was approached by a private music (teaching) company called Courtnay and Rowe, Inc. where she now calls home. 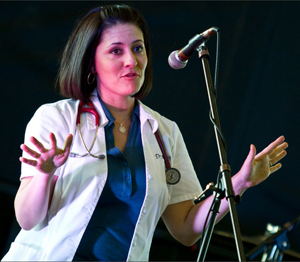 She has been a Vocal Coach with them for 14 years, and specializes in Audition Preparation sessions and stage presentation lessons. You can see her students on the Disney channel, Cartoon Network, Indie films, mainstreamed movies and numerous theaters around town. She currently MC's the Open Mics at St. Angelos Pizza Shop, The Pace Fair and other functions around the Atlanta area. The Boxerstock Music Festival is very dear to her heart and she is pleased to be a bigger part of it this year as her rescue dog (Boxer Mix) "Hype", who she dearly loved and cared for for 8 years, unexpectedly passed in June of 2014. In her spare time she volunteers for dog rescue facilities around town. Dr. Merritt has been with Paces Ferry since May of 2002. She is a native of Atlanta and received both her Bachelor of Science in Biology and her Doctor of Veterinary Medicine from the University of Georgia. She lives in Smyrna with her husband Richard. Dr. Merritt and her husband have a son named Jack and a daughter named Mia. They also have three dogs a black Labrador named "Bubba", a chocolate Labrador named "Spike", and a Boston Terrier named "Gumbeaux." Amber Burckhalter is the owner and founder of K-9 Coach, LLC, an award-winning, Atlanta dog training and behavior modification company. Amber is also the founder of Bed & Bark, the only Atlanta doggie daycare and boarding facility to be owned and operated by a certified canine specialist. Amber grew up in a family that was very active with dogs and, in fact, rescued her first dog when she was just 7 years old. She spent much of her high school and college years working in the veterinarian field as a kennel technician, a veterinarian assistant and a surgical technician. After graduating with a Bachelors in Science from Georgia State University, she attended Tarheel Canine Training in North Carolina - a worldwide respected canine training facility. While there, she trained and worked with dogs in search and rescue, cadaver recovery, drug and explosive discovery, personal protection and basic and advanced obedience. 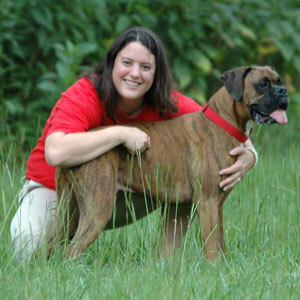 In 1995, Amber receiving her Certified Master Dog Trainer certification and began training professionally. Amber is a member of the Association of Pet Dog Trainers (APDT), the International Association of Canine Professionals (IACP) and is recognized as a Certified Pet Dog Trainer (CPDT), the only worldwide recognized canine trainer certification, by the Certification Council for Professional Dog Trainers (CCPDT). She is active in numerous pet rescue organizations and the American Kennel Club’s (AKC) Canine Good Citizen® program that stresses responsible pet ownership for owners and basic good manners for dogs. As an expert in canine obedience and behavior modification, she believes that every dog and handler team is unique and their training should be designed to address their diversities. While Amber has spent almost 20 years working with all types of dogs on pack mentality, behavior modification and all levels of obedience, she is considered an expert in the canine aggression field, using positive training methods, and this is now her professional focus. She has served as an expert witness in court proceedings and has been featured in the Atlanta Journal Constitution and other newspapers, both for her expert opinion and her call to action for other trainers. She has appeared in Women’s Day, Parents Magazine, The APDT Chronicle, CNN.com and numerous other publications. Amber has also appeared on local television programs including Good Day Atlanta, with Victoria Stillwell of It’s Me or the Dog and in a WSB-TV Channel 2 exposé that profiled Norred and Associates and Amber’s work with busting dog fighting rings and rehabilitating abused dogs. In 2008, the Humane Society of the United States (HSUS) named Amber 'Head Trainer' for the End Dog Fighting Campaign in Atlanta and she went on to co-design the curriculum for the nationwide HSUS program. She has appeared on National Public Radio and several other radio talk shows as a canine expert and is sought after by numerous organizations for her help using positive training methods to successfully train and rehab dogs. She is proud to act as a mentor to other trainers and regularly hosts CEU approved educational conferences with world-renowned trainers. Currently, Amber is working on her first book and training video and lives at home with her husband, her toddler son, three rescued dogs and one cat.